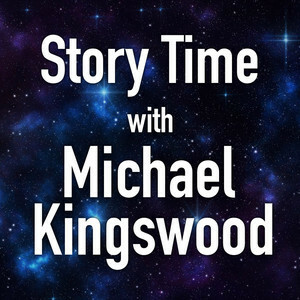 We found 10 episodes of Story Time With Michael Kingswood with the tag “literature”. Wherein I read my scifi adventure story, So You Want To Be A Dragon Slayer. Wherein I read the first part of my fantasy novelette, A Note Of Magic. This week I'm reading my semi-romantic, kind of humorous fantasy story: Brother In Law, Brother In Blood. Wherein I discuss an Anthology I participated in a while back, and explain myself. Because it needs explaining. Reading my darkly humorous zombie story, A Chat Before Dinner. In which I read my science fiction short story, The Blob On The Rock. A little late on this one. This week I'm reading another short story. This one is science fiction: Star Light, Star Bright. Episode 19: Who Ate My Sock? Reading a dark but funny short story - Who Ate My Sock? Reading my short story, The Memory Of Justice.